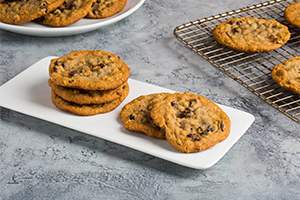 Oatmeal Raisin CookieMake money with our recipes! See how our recipes can help you save money based on serving sizes. We've got all the ingredients you need. Snack or bake with this 30 lb. bag of California Select Raisins! 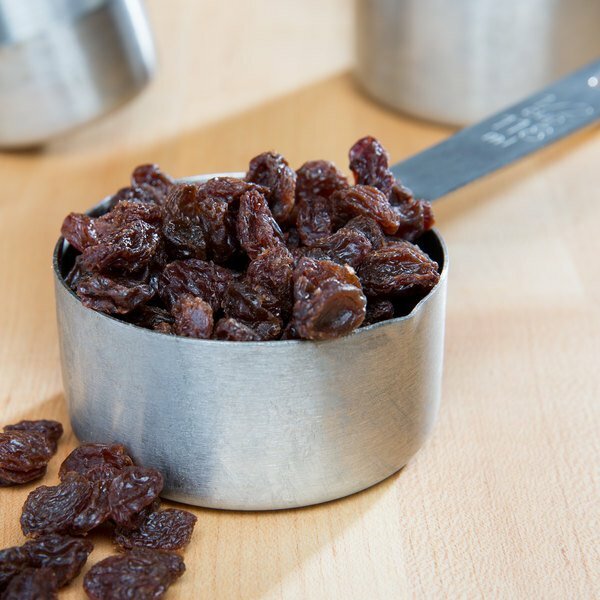 California select raisins are perfect for snacking or for use in cooking, baking, and even brewing. These raisins a consistent product that's sure to please all of your patrons time and time again. 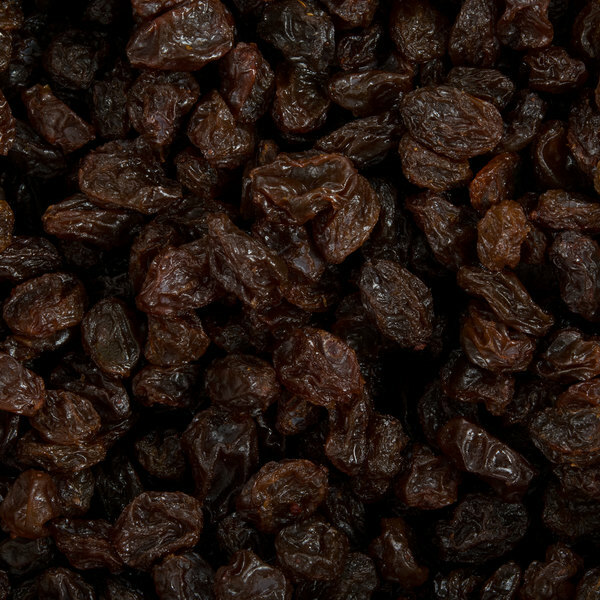 Offering impeccable taste, these raisins feature a rich, brown color. They have a long shelf life, don't need refrigeration, and are a healthy addition to your favorite foods. "These raisins are a great value and I use them for everything. I save some for baking and share the rest for my Robin's. They are very tasty and fresh. I have ordered other raisins and they didn't taste the same as these. These raisins taste as raisins should taste. Sweet and tender." Though raisins have a sweet taste, they also contain protein and healthy antioxidants to appease your more health-conscious patrons. In fact, they're an excellent, easy way to incorporate a serving of fruit into your most popular sweet treats. Sun-dried and bursting with flavor, these California select raisins are sure to please no matter what you cook. Raisins are dried grapes with a toughened skin that is chewy and naturally sweet. Serve them raw atop of your pastries, or use them for making raisin bars, cinnamon raisin desserts, or ethnic curries. Packaged in a convenient 30 lb. bag, these raisins will last for multiple recipes. Plus, the clear bag makes it easy to identify its contents so you can quickly grab it from the pantry when you're busy. these are the best I ever bought. They are very big and juicy. Will definitely re-order and let others. i have no regret with this purchase. The taste of this pack of 30-pound flame raisins is good. The only downside is sunflower oil is added to the raisins. Eat like that or with plenty of goodies added to it. A very nice bulk box of California raisins that are great in texture and taste. 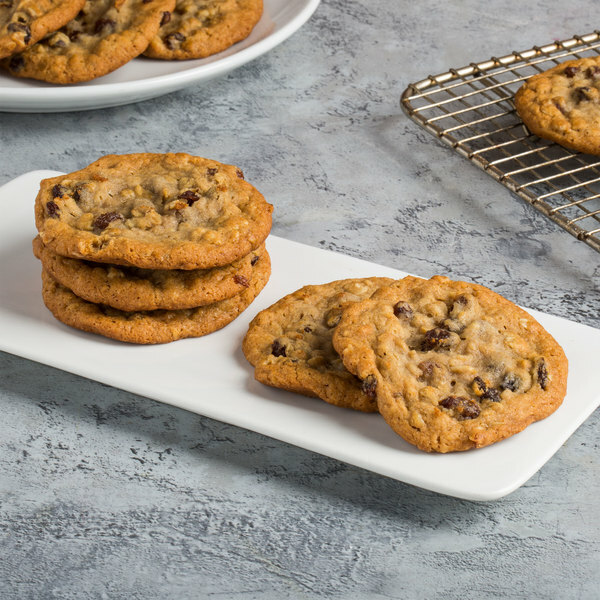 The raisin are great for making cookies or a great mix in for our fudge. A terrific quality California raisin that tastes great and is perfect for our bakery. The raisins are great for our Cinnamon Raisin bread and bagels. We use these raisins in our curry chicken salad. Its a fan favorite. Great quality at a great price. And they are always fresh too! Recently ordered these raisins to be used with our everyday oatmeal dishes. The raisins are top quality and the price is the best one out there. Completely satisfied with this purchase. Good quality at good price. The raisins are fresh and have a good texture. Great amount. My wife baked a lot of cookies and still there are plenty left We will keep buying them. The perfect style raisin for our cinnamon raisin bagels. Great, chewy texture and very plump. A great buy and always fresh and top notch quality. I discovered this product and it is significantly better value than our other suppliers .thank you .we use in baking, on top of oatmeals etc, and are pleased with product. A nice bulk box of select raisins that make a great snack. They are also perfect for adding to trail mixes, granola bars, or cookies. The regal California select raisins are plump and sweet. The only raisins I use to bake our oatmeal raisin cookies. They are amazing and well priced. Perfect for snacking or baking, these raisins are a truly great price. I re-packaged them in mason jars months ago, packing them fairly tight but not so tight that I can't get them out of the jars; they have kept well in my cellar this way--always my favorite way to store dry goods! An excellent quality California raisin that is great for snacking or baking with. The raisin are always fresh and have a really nice texture and flavor. I buy these raisins for personal use. I make cinnamon raison oatmeal for breakfast just about everyday and sometimes use them for cookies and other baked goods. They taste great and cost less than buying from the local stores. Oh wow, I love raisins period for snacks, trail mixes, and oatmeal and cookies. It is handy snack fruit that stay on the counter without spoiling so quickly. These raisins are a great buy if you use a lot of them! 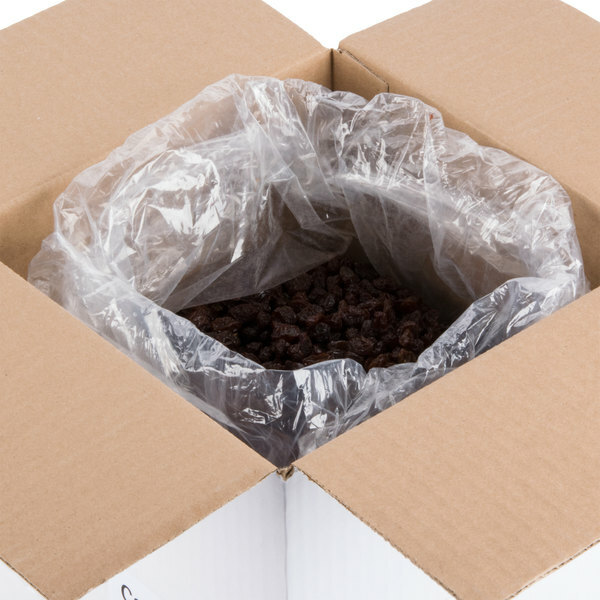 Be aware they do not ship in a resealable bag, but Webstaurant offers so many containers and large heavyweight zip bags so it's easy to find a way to store them. They are chewy and sweet and work great in oatmeal or in cookies or just by the handfull with some nuts for a filling healthy snack! Best paired with cinnamon as cinnamon adds taste and helps the sugar not to spike in your bloodstream!